Coal briquetting is a process which turn the coal dust to briquette. Compare to directly use coal dust as fuel, use coal briquette not only helps to reduce the burning cost (reduce 20-30% of coal dust usage), but also makes benefit to the environment. So, how can we make briquette from the coal dust, what things should we pay attention to on the briquetting process, follow our article and you’ll find your own way on coal briquetting. Every step we should make things specific in order to make high quality coal briquette. The quality of raw coal plays a decisive role in the entire coal briquetting process and operational processes. Raw coal quality inspection is to visually check the appearance, impurities, bulk density, specific gravity, particle size and lump coal ratio of raw coal to determine the pre-processing operation plan. The coal quality test is to qualitatively and quantitatively analyze the physical and chemical properties of the raw coal in the laboratory to determine the processability and raw material formulation of the coal briquettes. The vibrating screen is used to screen the raw coal. Sift out large pieces of coal which are larger than 3 mm and crush them, pick out the impurity manually. This step can increase the efficiency of the coal briquettes, protect the coal briquetting machine, and reduce the energy consumption of the entire coal briquetting plant. Use crusher to make block coal crushed. Choose the right type according to the required crushing particle size, productivity, inlet size, etc. Use wheel crusher for coal of 3-13mm. 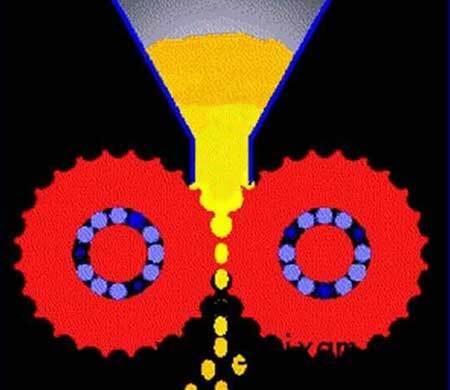 The additive can be added to the raw coal by grinding into powder, or it can be mixed with the binder and stirred evenly, and added to the raw coal. The additive is already included as soon as the binder is mentioned. 1) Organic: coal tar, petroleum asphalt and their residues, high molecular polymers, starch, vegetable oil residue, animal glue, industrial waste, humate, lignocellulose, etc. 2) Inorganic: clay, bentonite, kaolin, cement, sodium silicate, raw (quick) lime, calcium carbide mud, phosphate, sulfate, etc. Some coal mines have argillaceous rocks on the roof and floor. After grinding into powder, when mixed with water, it has good bonding properties, it’s also resistant to burning. It can be treated as a binder and additive. 3) Composites: organic and inorganic binders, each with its own distinct characteristics, and all complement each other. When preparing the binder, any two kinds of binders can be blended and used, which are called composites, such as organic and organic compounds, organic and inorganic compounds, inorganic and inorganic compounds, these all result to good results. 1) The organic binder has good bonding performance, and the briquette has high mechanical strength, but the briquette has a poor thermal strength and thermal stability, and some binders have poor water resistance. 2) The inorganic binder has a wide source and low cost, and the briquette has a good thermal strength and thermal stability, but it will increase the ash content of the briquette and reduces the calorific value. 3) The complementary properties of the materials mixed by the composite binder are the development direction of the binder. The simplest way to fix sulfur is to add quicklime (calcium oxide) to the raw coal as a sulfur-fixing agent. There are various kinds of calcium-based materials that can be used as sulfur-fixing agents, such as limestone, dolomite, quicklime, slaked lime, calcium carbide slag, and white mud. 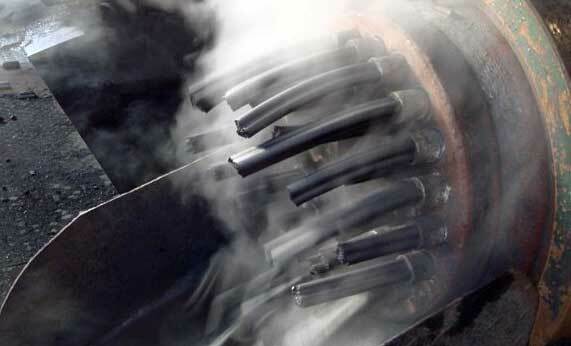 The method of increasing the cold strength is to add an organic binder such as petroleum pitch, high molecular polymer, vegetable oil residue, animal glue, etc. in the production of the briquette. The practice has proved that the addition of bentonite, clay shale, clay, kaolin, etc. to the binder can enhance the heat strength. To control the moisture in the briquette, especially the internal moisture of the raw coal. Total moisture in the briquette must be kept at 3-4%. if the water was too high. when the temperature rises, the briquette will burst or break. The measure for improving the wet strength of coal briquettes is to add a waterproofing substance such as sodium silicate, cement, kaolin, etc. to the binder. The calorific value of briquette is derived from the carbonization age and fixed carbon content of the raw coal used in the production of the briquette. Anthracite has the longest carbonization age and the highest fixed carbon content, which is the preferred ingredient to increase the calorific value of briquette. If an appropriate amount of potassium nitrate, potassium chlorate or the like is added to the binder to increase the burning strength of the briquette, the furnace temperature (100 to 200 ° C) is rapidly increased, coal consumption (15%) is saved, and carbon emissions are reduced (20 to 40%). The principle of binder free coal briquetting is to briquette coal with a suitable size. Under the extremely high pressure of the briquetting machine, all air is squeezed out, the coal particles are fully integrated then. The cohesive properties of the particles are firmly bonded to the coal powder, which makes the coal briquettes. For the binder free coal briquetting process, it is necessary to use a strong cohesive coal. Not all the coal can be briquette without binder. The main parts of the roll briquette press are two rollers with the same technical parameters and diameters generally of 360 to 1,000 mm. On the outer diameter surface of the roller, there are pits of a predetermined shape, size, and depth, and the pits on the two rollers correspond to each other. When the two rollers are equal in speed, opposite in direction, and relatively rotated, the two outer circles that are in contact with each other and are tangent are exactly one row of pits aligned with each other to form a complete cavity. During operation, the feeding belt conveyor conveys the stirred raw coal to the top of the two rollers and accumulates to a certain height. When the two rollers rotate relative to each other, the raw coal fills the cavity by its own weight, and gradually rotates during the rotation of the roller. It is compressed, shaped, and released from the cavity, and is transported away from the discharge belt conveyor. The equipment used in the coal briquette extrusion process has a cylindrical extrusion chamber placed laterally, a feed port is opened above the extrusion chamber, and a feed funnel is installed on the mouth. An extruder with a single-headed spiral blade is mounted in the cavity along the centerline. As the extruder rotates, the raw coal entering the extrusion chamber from the feed funnel is squeezed and, after reaching a certain pressure, is extruded from the outlet of the extrusion chamber, where forms the coal briquette. As the mold is installed at the exit of the extrusion chamber, the extruded briquettes have a designed shape and size. Shapes such as hexagonal, square, circular, hollow, solid, etc. This is the simplest and most economical way. In many areas with extremely cold and dry climates, there are few rainy days in spring and even no rain for a couple of months. It is a good time to use this time to produce coal briquette. Coal briquettes, especially the civil type, it is a way very good and acceptable. Coal briquette is usually dried by a belt dryer. And usually take coal briquettes as its heat source, other heat sources also can be used, such as biogas, natural gas, diesel, etc. Use the boiler’s rest heat is the best way to save energy, which also reduces environmental pollution. Generally, the inlet air temperature is controlled at about 200 degrees Celsius, the outlet air temperature is about 50 degrees, final moisture for the coal briquettes needs to be controlled at about 4%, which can reduce the drying time and prevent coal briquette cracking. Coal briquetting technology is concerned with the characteristics, quality, performance, sales prospects and economic benefits, and energy conservation and emission reduction, environmental governance, low carbon economy and most important the people’s health. A good coal briquetting process can help achieve a high degree of economic development and a highly unified resource environment.